VGB is giving away a lit gaming mouse package from Corsair that includes the Corsair MM300 Mouse Mat and the Sabre Optical RGB Gaming Mouse. And that’s not all! 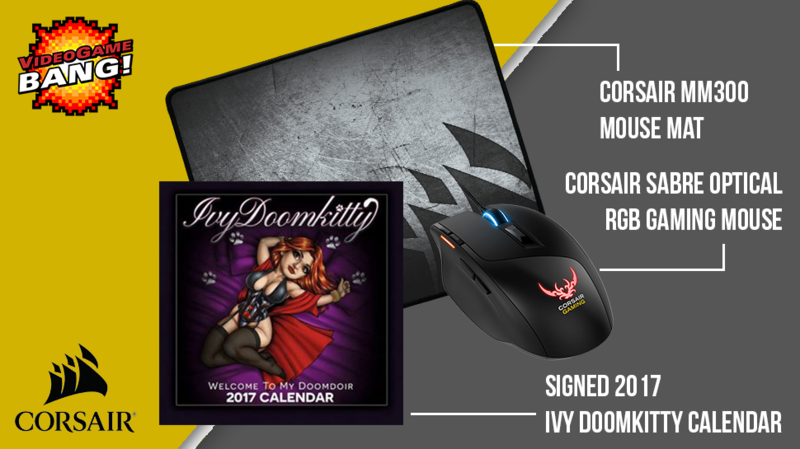 Included is a signed 2017 Ivy Doomkitty calendar to hang in your newly tricked out gaming spot. To enter just follow VGB on Twitter at @videogamebang. That’s it! Want more chances? RT the contest, follow us on Facebook, Instagram, YouTube and more! Winner will be announced on the March 1st show.